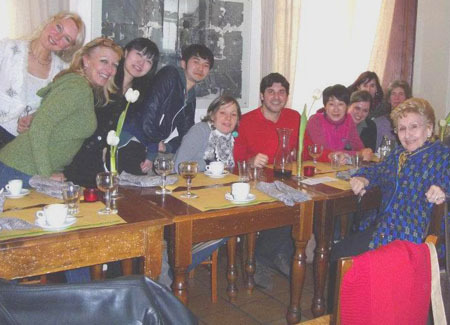 Come with me to AREZZO in 2016 to PRACTICE & IMPROVE YOUR ITALIAN! 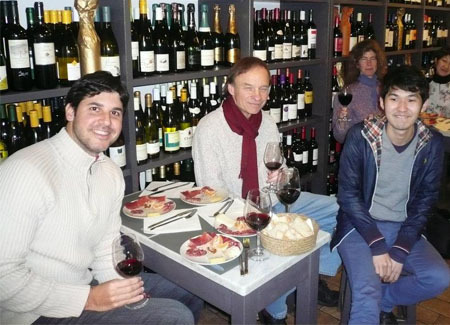 Immersing in language and culture and traveling with like minded individuals is great way to learn the language in a relaxed and friendly environment. Join me in Arezzo in September 1 – 12, 2016 for another unforgettable “Matta” Language & Cultural experience. 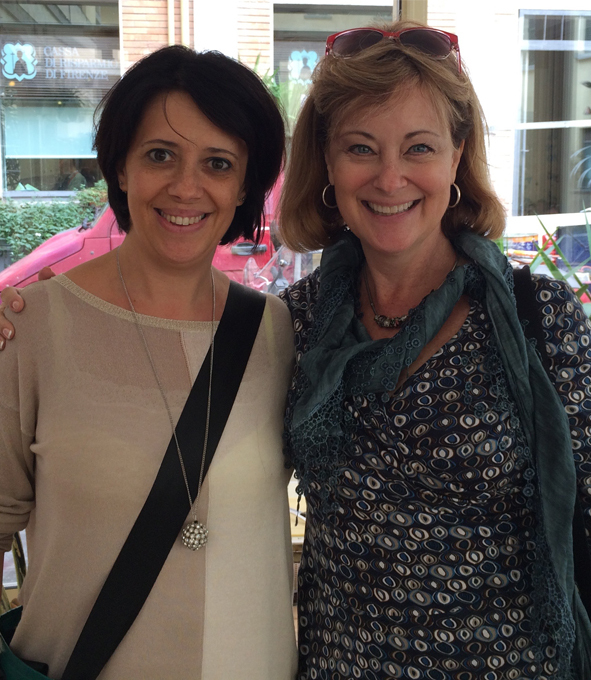 In September 2016 I am teaming up with Paola Testi, the director of Cultura Italiana Arezzo Language School for 12 days and 11 nights of Italian Language Learning fun! 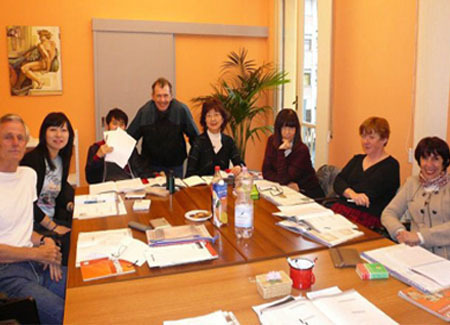 During the mornings we will study at Cultura Italiana Arezzo Italian school, located in the historic center of Arezzo. 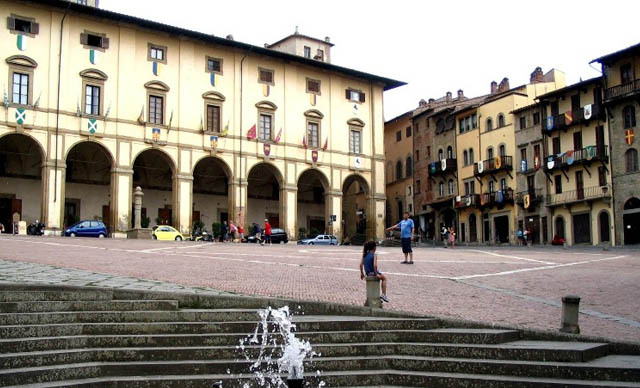 During the afternoons we will participate in excursions in and around Arezzo, with teachers and guides from the school.We will enjoy spending time in the delightful city where they filmed “Life is Beautiful” with Roberto Benigni. 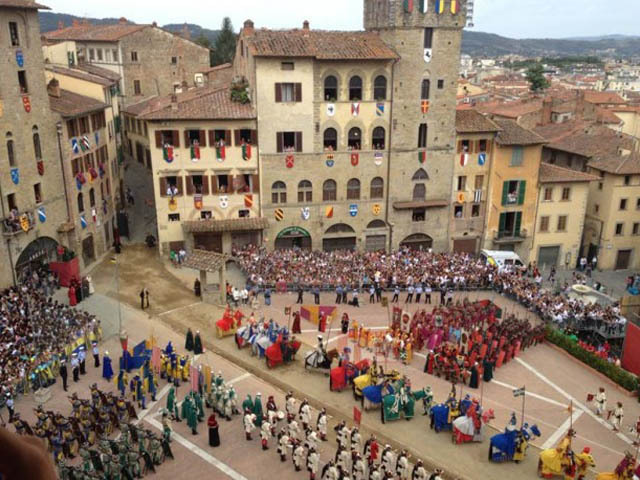 We will also be in Arezzo to experience the famous Giostra del Saracino – Arezzo’s jousting festival that occurs every year the first week of September and we will join the feasting at the long tables that are set up in the neighborhoods throughout the town. 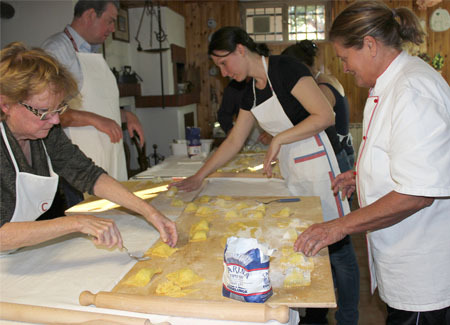 The 2016 program will include excursions to Siena, Cortona and Anghiari, plus cooking lessons with the delightful Lala in her home in the Tuscan countryside. We will stay in a delightful and charming B&B run that is built over the ruins of an Etruscan home, which you can still see preserved under the glass floor in the main entrance hall! 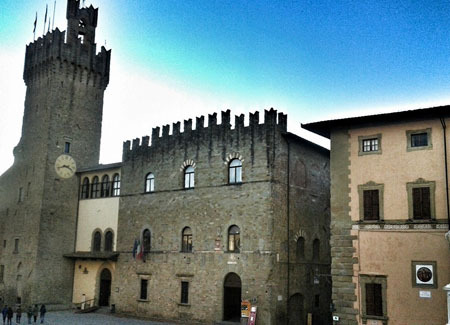 Accommodations: We will be staying at Antiche Mura a 3 star B&B in Arezzo’s historical center, walking distance to the school. The rooms of the hotel are delightfully decorated and feature updated private baths, TV, Internet, Air Conditioning. Book Now! There are only 10 spots! 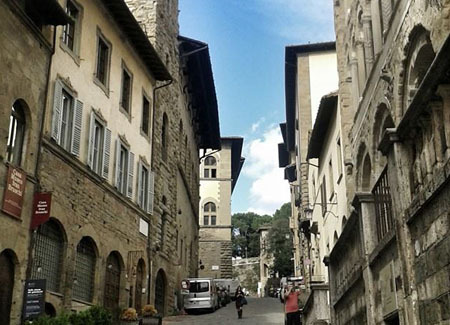 The price for the “Matta” Arezzo Language program is $3,500.00. Availability is based on first-come first-served basis & a reservation is not guaranteed until the receipt of deposit or full trip payment. A $500 non-refundable deposit is required to secure your reservation. The first morning we be given a presentation about the school and about the city of Arezzo. Language levels will also be assessed. 2:00pm: Presentation at the School of the history of “Giostra del Saracino” with a film. 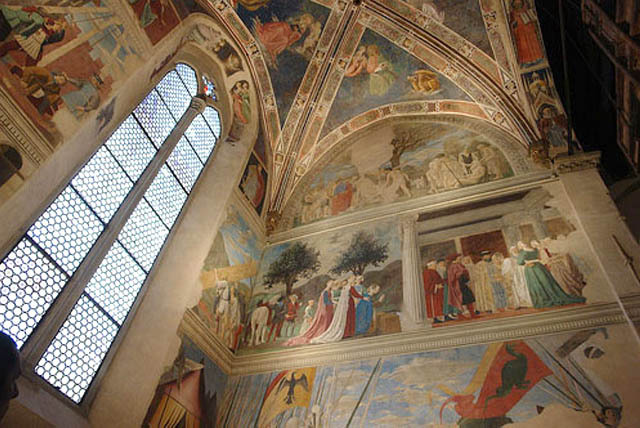 Transport to Arezzo: The nearest airport is Florence, which is about 45 minutes by car from Arezzo. 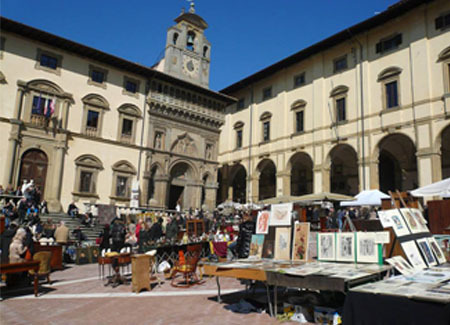 There are also hourly direct trains from Florence. Please contact Melissa with your specific transport questions and she will be happy to help you with your travel arrangements. For more information please contact melissa@studentessamatta.com. To make a reservation please fill out automated form above. Ci vediamo ad Arezzo!